Filipino inspired gourmet, served up the good ol' American way! 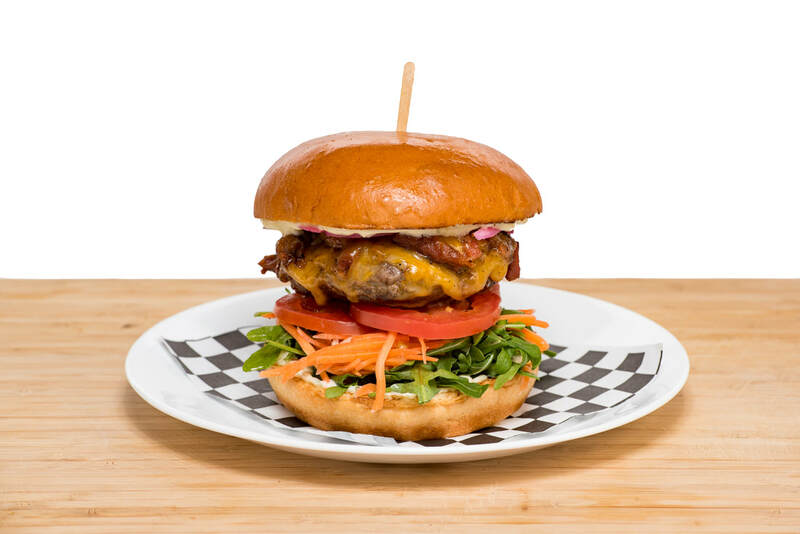 Garlic and soy sauce marinated beef patty blanketed with tocino (Filipino bacon), melted cheese and pickled onions, on a bed of arugula, achara slaw (carrots and green papaya), sliced tomato, and specialty house aioli, served on a toasted bun. 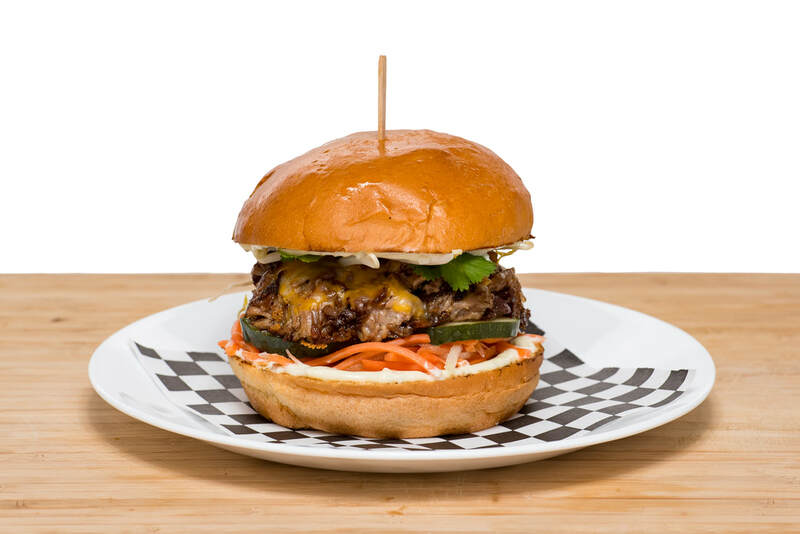 Slow-cooked pulled pork shoulder, topped with melted cheese, bean sprouts, and cilantro, on a bed of achara slaw (carrots and green papaya), cucumbers, and specialty house aioli, served on a toasted bun. 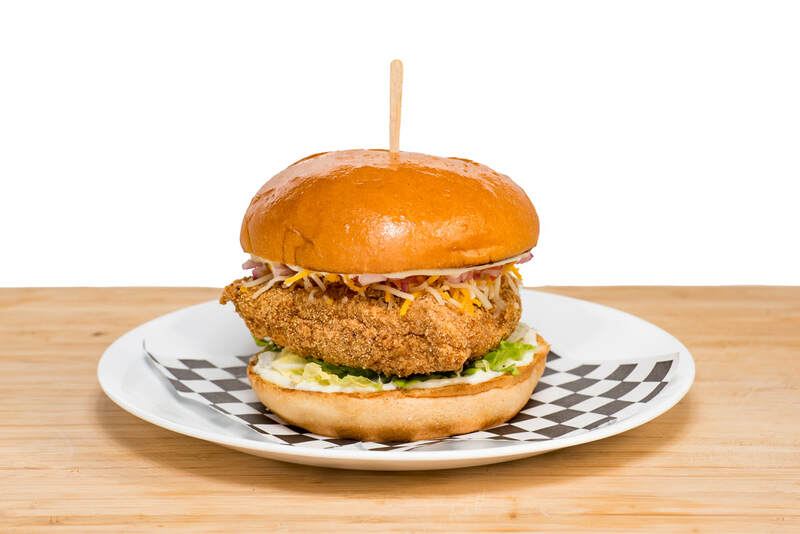 Tender cassava breaded chicken breast with melted cheese and zesty tomato and red onion salsa, over shredded Napa cabbage, and specialty house aioli, served on a toasted bun. 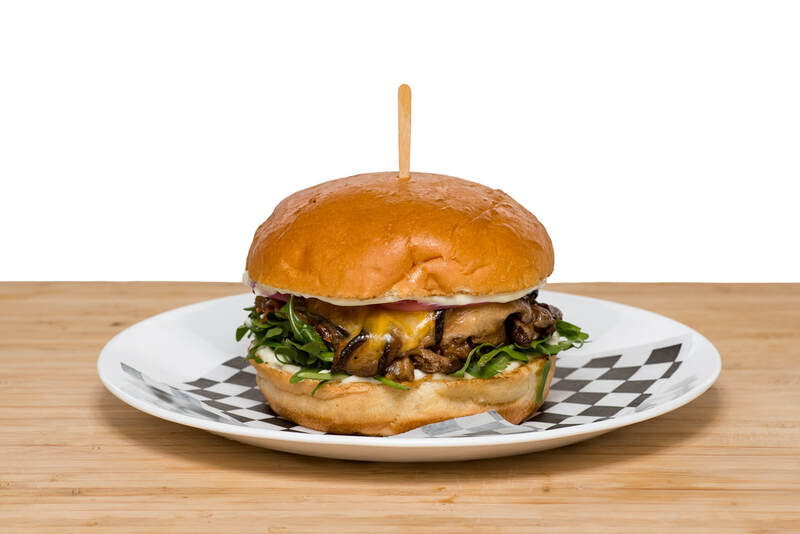 Shiitake mushrooms sauteed in garlic, green onions, tomatos, and soy sauce, topped with melted cheese and pickled red onions, over arugula and specialty house aioli, served on a toasted bun. 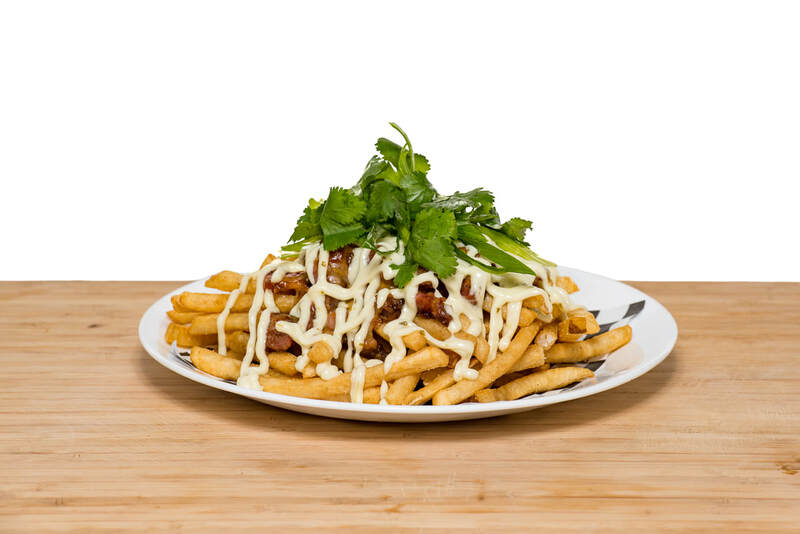 Crispy shoestring fries tossed in a spiced tamarind seasoning, topped with tocino (Filipino bacon), melted cheese, specialty house aioli, green onion, and cilantro. Mom's Lumpia - deep fried pork and shrimp Filipino egg rolls, served with sweet chili sauce. 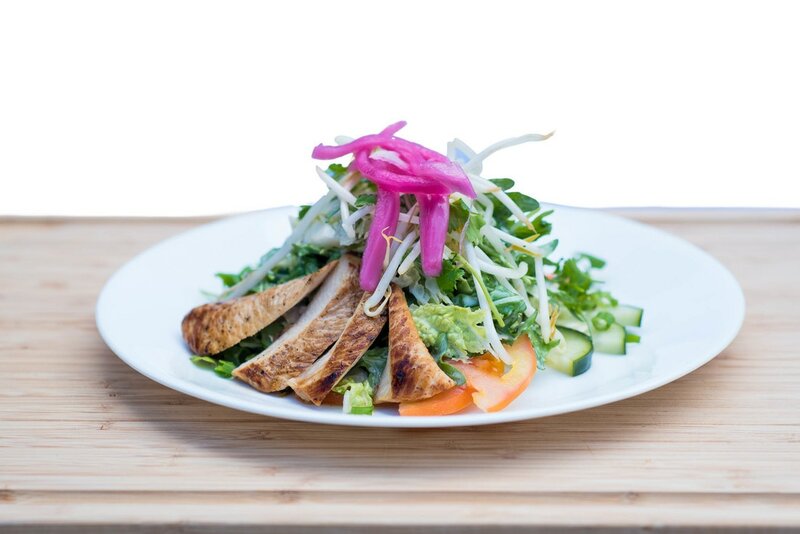 GreenLight Salad - Southeast Asian grilled chicken and mixed greens salad, consisting of arugula, Napa cabbage, bean sprouts, carrots, green papaya, pickled onions, tomato, cucumbers, shredded cheese and cilantro, tossed in a creamy cilantro-garlic vinaigrette. 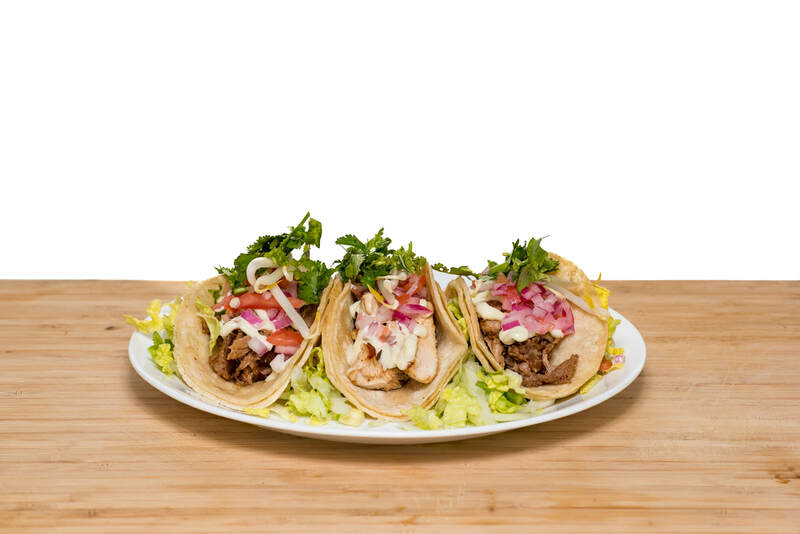 Street Tacos - choice of grilled chicken or pork adobo carnitas, topped with zesty tomato and red onion salsa, garlic aioli, chopped cilantro and bean sprouts. Follow us for latest news, updates, events and more! Serving Contra Costa County and surrounding area. Follow us on ﻿Twitter @CSideKitchen﻿ for latest updates. We cater! Private, corporate, special events and weddings! "...Food can teach us the things that really matter - compassion, beauty, community, and sensuality - all the best that humans are capable of."